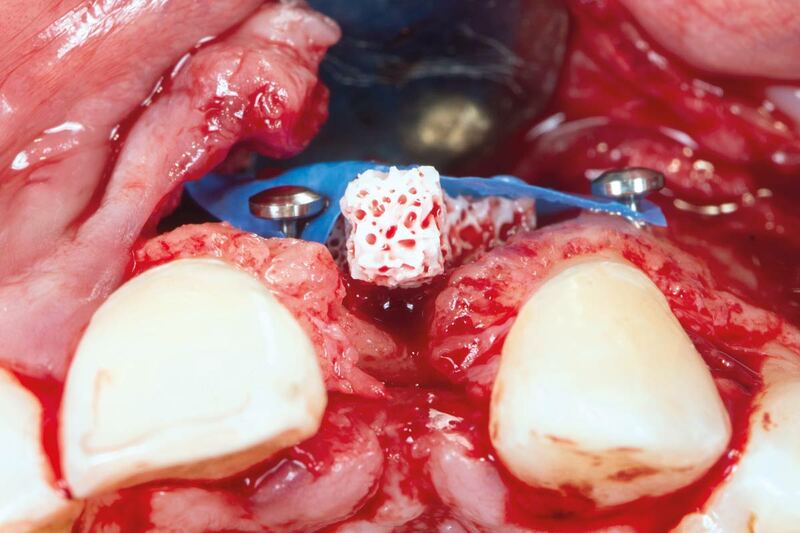 - Bone augmentation with a cerabone® block. 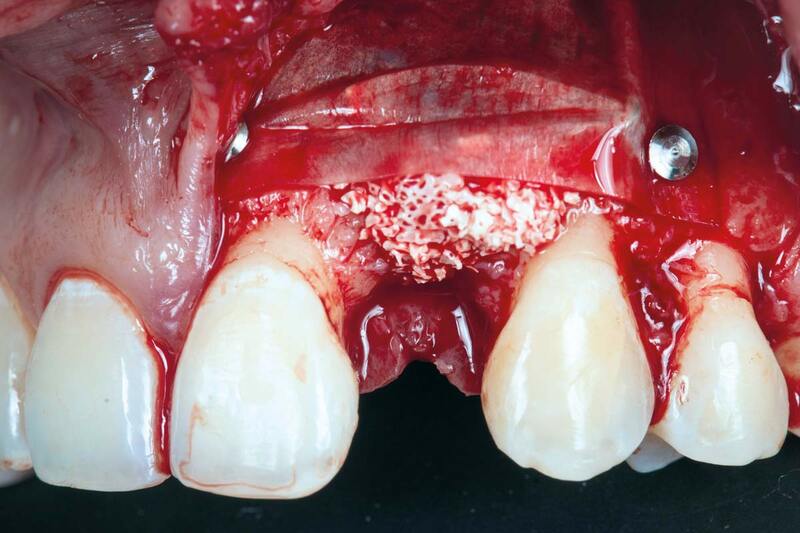 - Covering with permamem®. 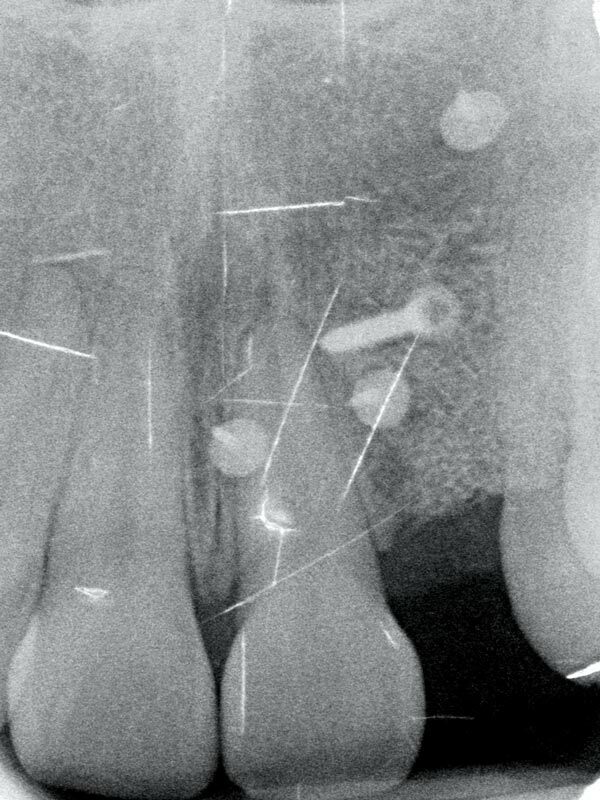 Fixation with titanium pins. 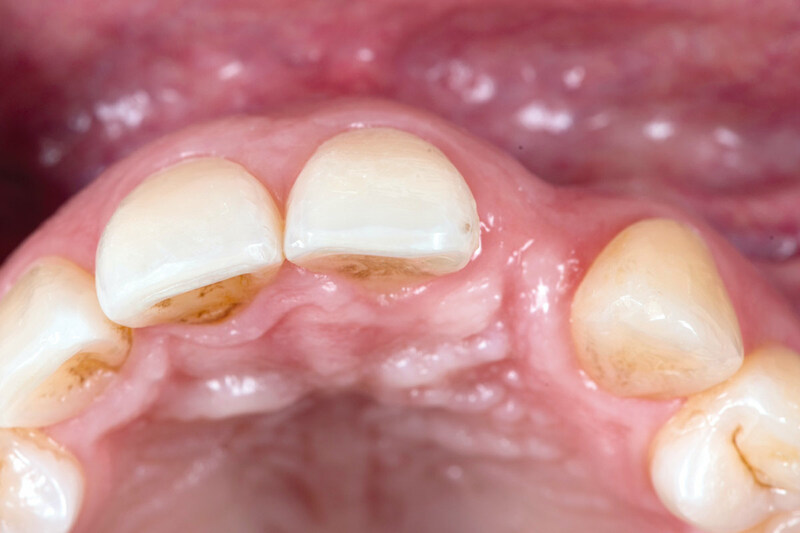 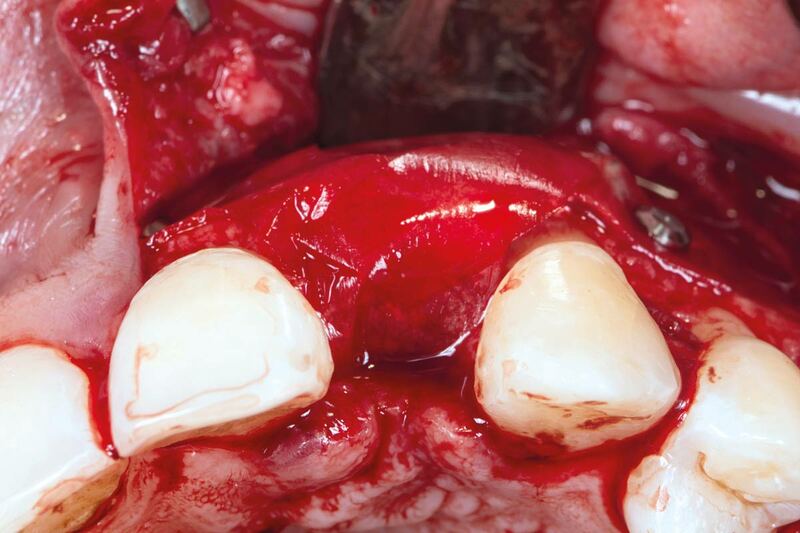 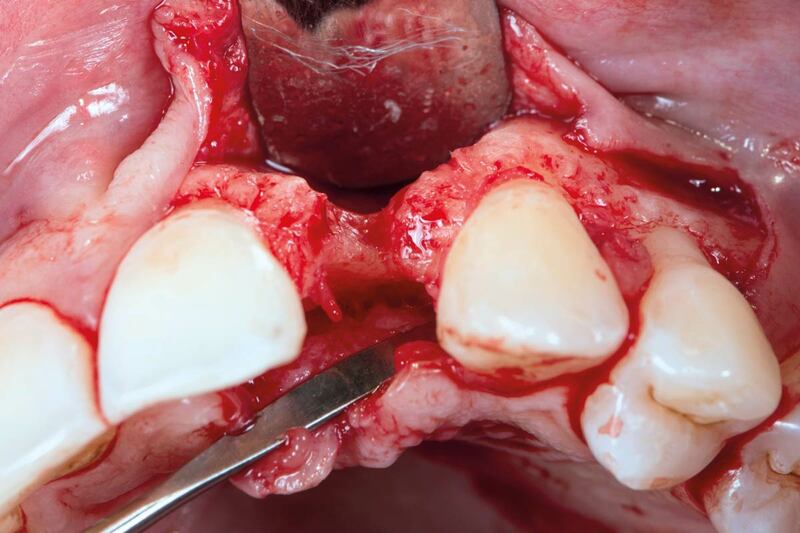 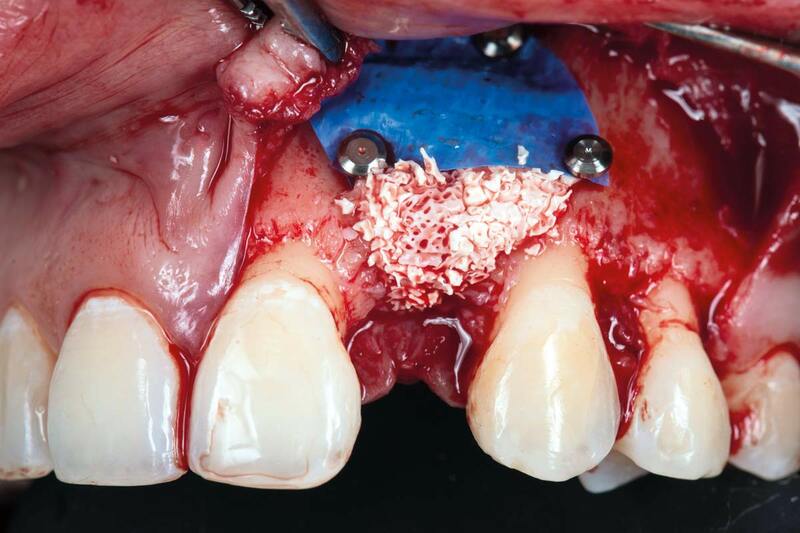 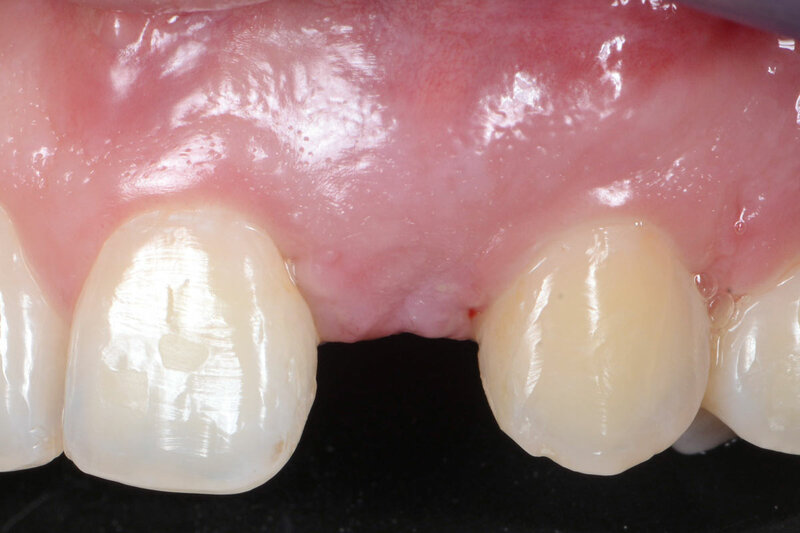 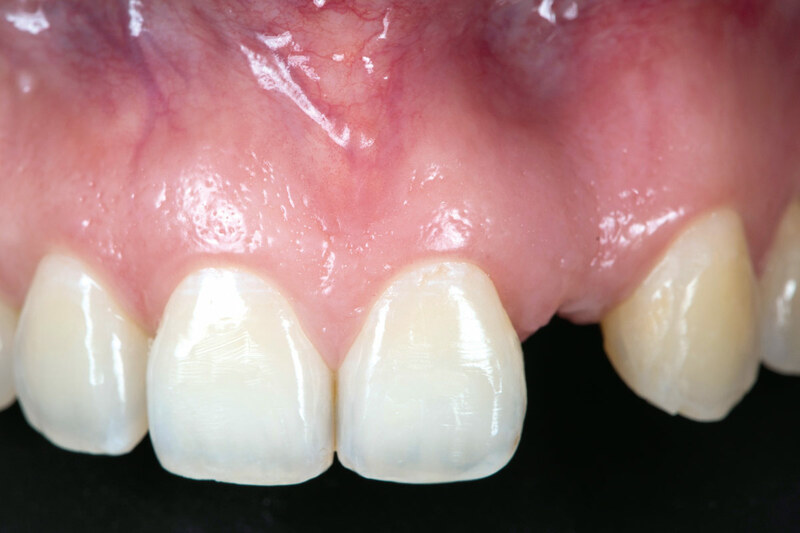 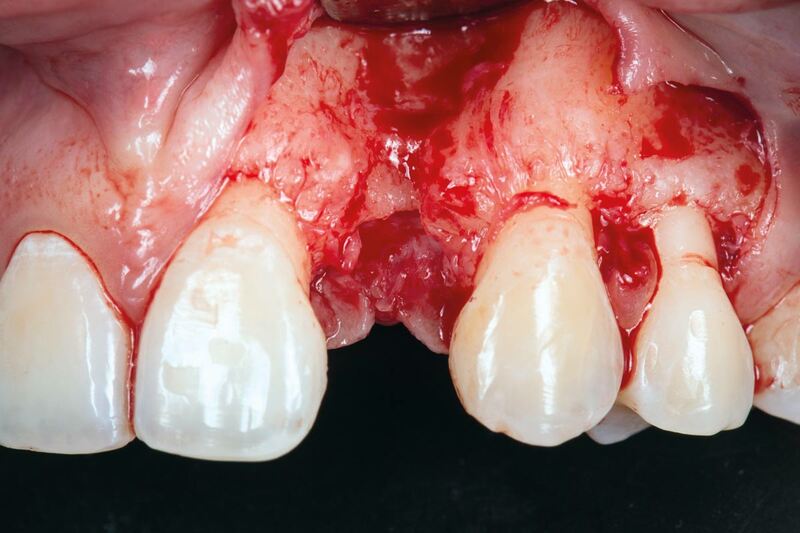 - Additional augmentation with cerabone® granules. 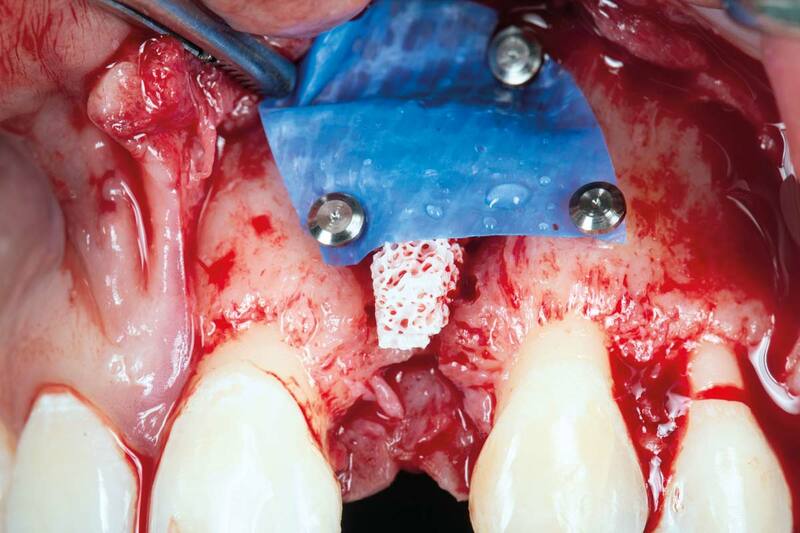 - Additional covering with Jason® membrane. 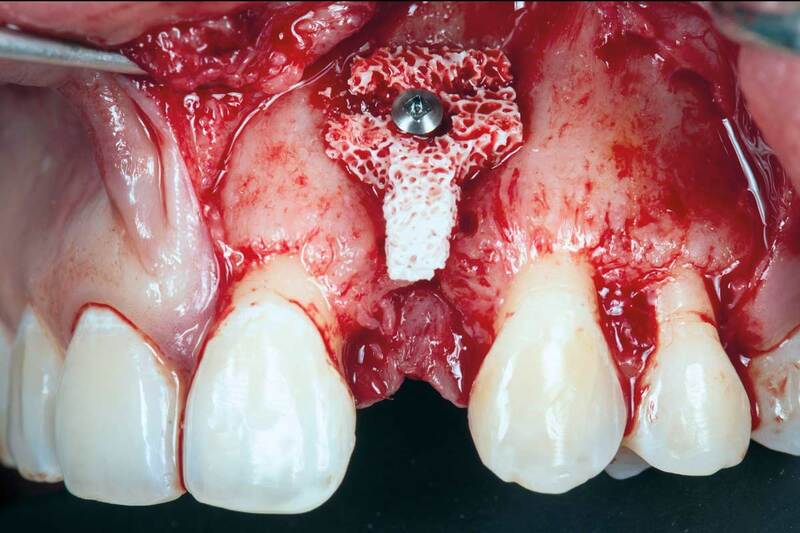 Fixation with titanium pins. 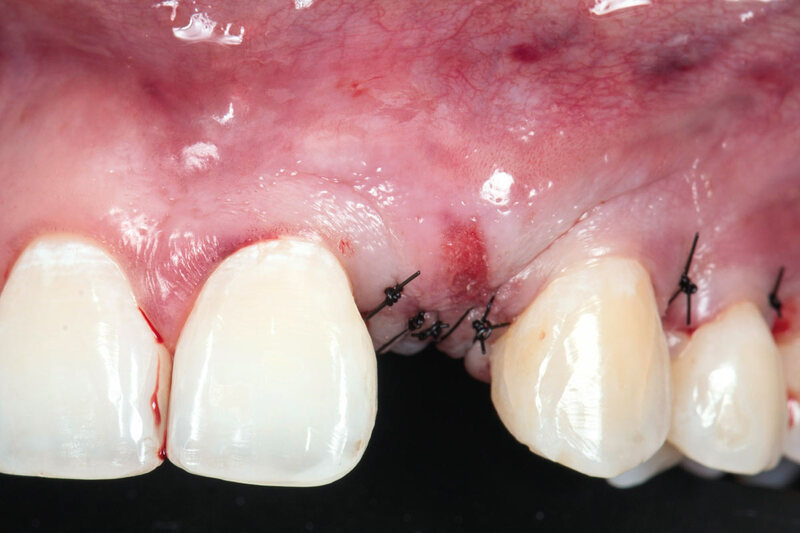 - Suturing and primary wound closure. 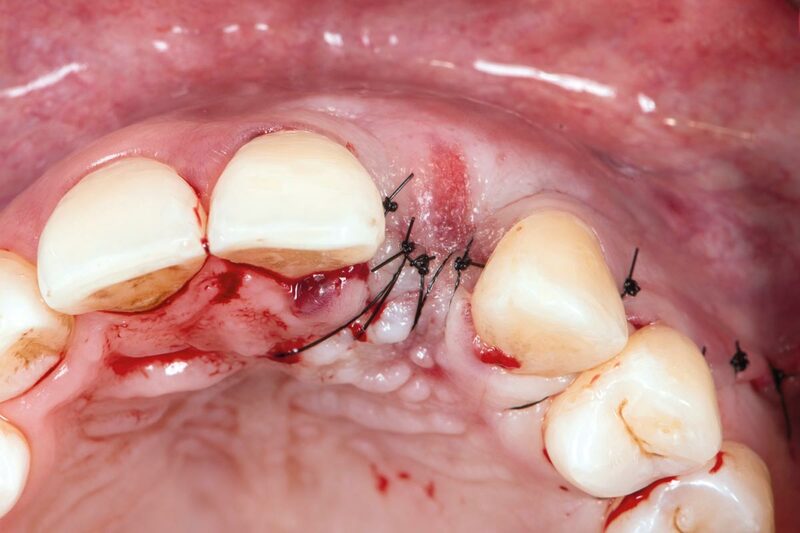 - Clinical situation 3 weeks post-operative.